Q: How do you decide what to write about? A: In news, we look for JDLRs — anything that "Just Doesn't Look Right." Vermont has enough artists and other interesting characters to keep us in features forever. Q: Are Seven Days' cofounders Pamela and Paula, like, partner partners? A: Nope, it's all business with those two. Q: Who is Rufus? He's listed in the masthead every week. 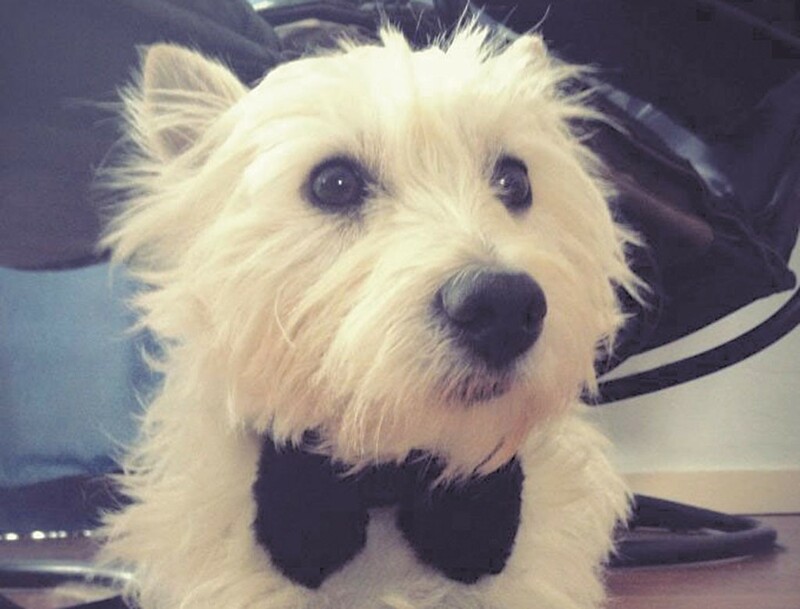 A: He's an enigma wrapped in a white fur coat — the canine companion of production manager John "Jingles" James. He "works" long hours being adorable and gets a new job title every week. Q: Your corporate name is Da Capo Publishing. Is there a Mr. Da Capo? A: Fuggedaboutit. "Da Capo" means "from the head" in Italian — appropriately, it's a musical term that instructs, "start over again." We did that 20 years ago, and still do every week. Q: How has Seven Days managed to grow when it seems many other newspapers are declining? A: See "Twenty Reasons We're Still Here"
Q: Why don't you write editorials? Is Seven Days endorsing Bernie? A. When Seven Days first started, nobody had time to research and write editorials — Pamela and Paula each wrote multiple stories a week. Nor would they have necessarily agreed on everything. By not taking a stand, it turned out, the paper avoided getting pigeonholed politically. That's why we will not be endorsing Ol' Bernardo or anyone else. Q: I recently moved to VT from the big city and I'd like to write a personal essay about my fish-out-of-water tale. Y'all are so darn quirky! Will you publish this? Seven Days is free; making it isn't. If you like what we’re doing, become a Seven Days Super Reader for as little as $7 a month. That’s $1.75 a week, which is less than what it actually costs us to produce a single copy of the print paper — think of it as a voluntary subscription. Along with a guilt-free read, you’ll get our undying appreciation, a monthly email newsletter, swell swag, and invitations to events and discussions.